Snoring has been a big problem for many people as it creates sleeping disturbance. Many people are open to try different medications to avoid it, but when that does not work then people look for other solutions. You need not to upset anymore as you have the best option of snore activated nudging smart pillow. 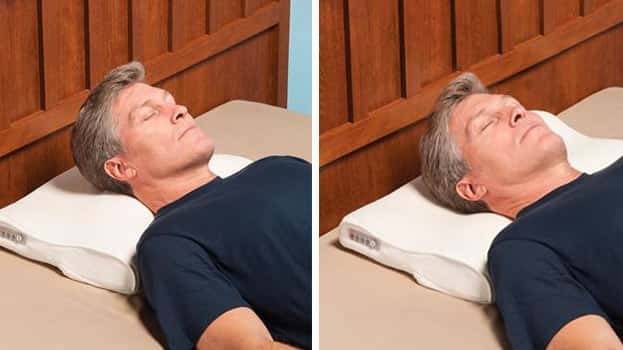 It helps in giving your spouse the ease and avoids the snoring at a very easy level. This really looks to provide the apt solution to the people who are having the issue of snoring from their partners while sleeping. Your partner or spouse need not to intervene always to make you aware about the disturbances which are occurring due to your snoring. 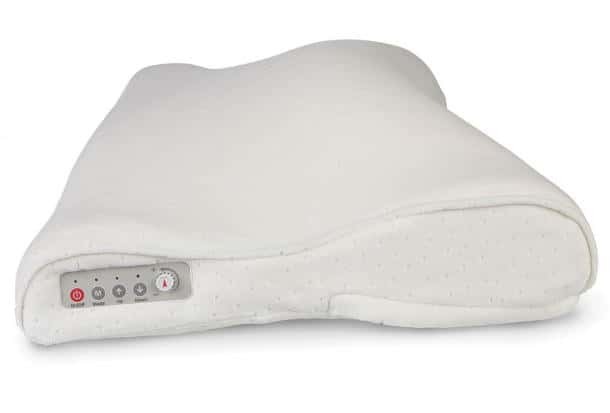 You can try this snore activated nudging smart pillow which is well-integrated with microphone that catches the sonic vibration of snoring and automatically inflates the internal air bladder that grows depth of the smart pillow up to 3”. It helps you to adjust yourself properly in a comfortable position. The sensitivity of the microphone could be adjusted on heavy and light snoring and you can manually inflate the bladder to a desired thickness. 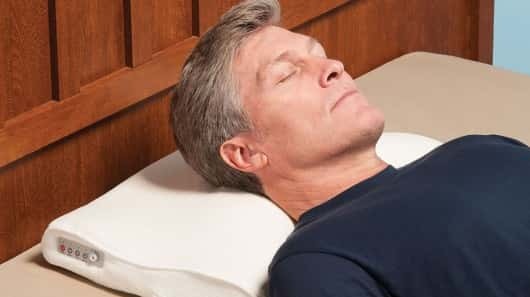 The contoured shape of snore activated nudging pillow offers an optimal head positioning for the snoring along with the comfort which is lofted with 100% polyurethane. This polyurethane helps in having the head in a better position for a better sleep. It is also an easy to maintain smart pillow where you can wash its polyester cover in your washing machine. It will give you the freedom from the disturbances which you may be making without your knowledge to other. You would be at your best in making things to get better for you along with your sleeping partner. So get ready for a pleasing sleeping time.